Not often a cricket book crosses the Middle Stump path and makes us all sit up and take notice but this offering by Tim Wigmore and Peter Miller is well worth a read. 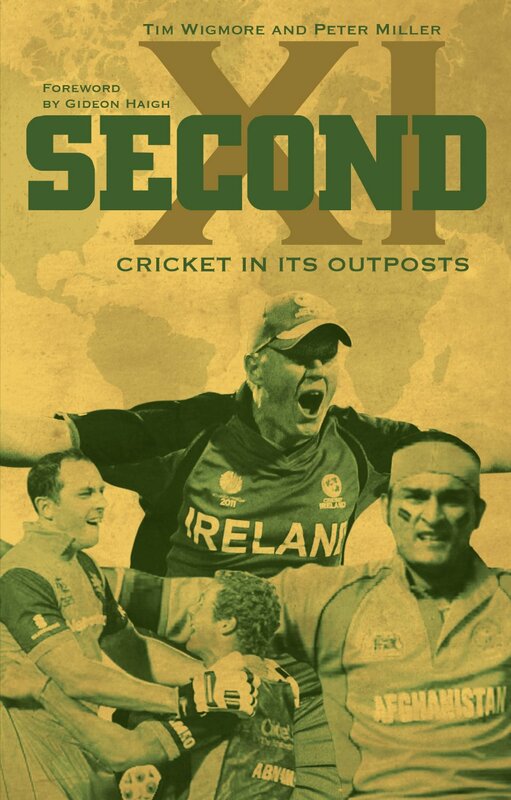 Topical at present, especially with the performance of Ireland, UAE and Co. in the current World Cup, their timing in bringing the book out now should be applauded. Second XI covers the Associate countries, the non Test playing nations and looks at the closed shop of the ICC, and the fascinating journey by many of the countries and the efforts against the big boys. Tales of hard work, dedication and long journeys abound. I like cricket writers who hit the game from a different angle. Too many bloggers churn out mirror images of the press reports and here at the Stump, we have tried to be different. Wigmore and Miller aka TimWig and The Cricket Geek, have done this in a refreshing manner and have looked at a differing side of the game, but still regaling the reader in a fascinating melting pot of statistics, along with anecdotes laced with good humour, allied with the tales that make this such a fascinating sport. 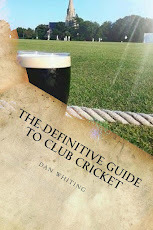 Second XI has a foreword by Gideon Haigh, and has contributions by some fine writers. Stories of the struggles encountered such as the Afghanistan player who grew up on a refugee camp, the player drain from countries such as Ireland to England are only part of the book and I will leave you to have a read to find out more. The Dutch beating England last year, Kenya getting to the semi final a few years ago, that Kevin O'Brien hundred, the Associate countries have come along way since East Africa or Canada were the whipping boys of the 75 or 79 World Cups. The ICC need to have a look at themselves and open up this small, closed shop that they are currently running because cricket is not just about the revenues brought in by television rights. It is about these guys, playing the game often from the heart and being involved in the game, purely for the love of it. Economic struggles abound so much, one of the authors could change his name to The Cricket Greek. Cricket is even played on Corfu, I believe. The little guys have shown that they are capable of beating the big boys and for me, the best game of this tournament has been watching the Irish squeeze past the plucky UAE. Let's spread the game around the world and not just keep it confined to a small few. Meanwhile, I'll see you for a Guinness in Dublin for the World Cup final. Ireland v Afghanistan anyone? I was more than happy to find this web site. I need to thank you for your moment due to this unbelievable read!! I definitely savored every bit of it and I have you Custom essay writing service book-marked to see new things in your web site.